Fincite GmbH of Frankfurt, Germany won two Stevie Awards in the 2016 German Stevie Awards. 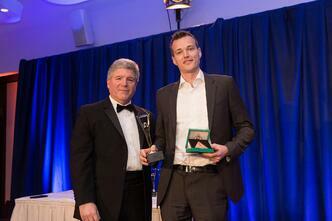 Fincite GmbH won the Gold Stevie Award for Technology Startup of the Year, and a Bronze Stevie for Management Team of the Year. 2017 The German Stevie Awards are accepting entries through January 27. Review the entry kit to begin your nominations. What does Fincite GmbH do? Financial Advice today is often confounding and not made for the benefit of the customer. Technology can change this. We can make investments smarter by giving customers easy access to sophisticated analytics. We help banks, asset managers and insurers offer this technology to their customers. What is your role as the Co-CEO? As Co-CEO I’m responsible for growing the business. This covers marketing, business development, partnerships and recruiting. What is the organizational vision? Our mission is to engineer the future of finance. We see that technology will replace large parts in Financial Advice, Retail & Institutional Asset Management and even funds. Our aim is to grow and become the #1 Digital Asset Management company in Europe. What sets your company apart in this category? It’s the unique approach of our Digital Investment Management Software: We built a complete modular system that can easily connect to all private customers’ financial assets, analyze the status quo and make recommendations. Banks can build upon our software their own frontend and thus keep customer relationship while still providing most modern analytics and account integration capabilities. What was it like for your company to win the Stevie award? It was a great honor for us to win this award, especially in the category, Technology Start-Up of the Year because from the outset we wanted to focus on innovative products and organic growth. The nomination for Management Team of the Year indicates to my partners & I that we’re on the right path in how we conduct our business. How has the win affected your business? The direct effect is hard to tell, but I think the award is great feedback for us and it was acknowledged by our partners and clients. What results have been gained since you've won this award? The size of our workforce has nearly doubled since April and the cash flow is still positive without external financing. What inspires you to continue your work? We’re inspired by our mission to change the world of finance and the good feedback we get from our partners, clients, employees and also the press. What do you expect to change in your industry in the future? We believe that Finance can be nearly 100% digitized. As a result, digital services will largely replace large branches and offices. We are intrigued by the thought of working on this more efficient next generation of Finance. 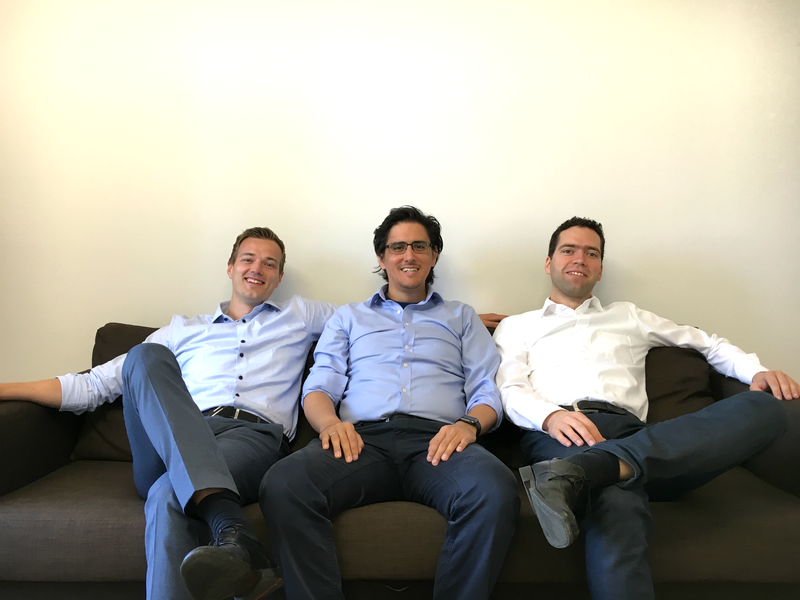 From left to right - Ralf Heim (co-CEO), Friedhelm Schmitt ( co-CEO), Stefan Post (CTO). Qualitativ hochwertige IT-Leistungen haben in den Unternehmen Hochkonjunktur. Kaum ein Ablauf, der inzwischen nicht elektronisch und IT-basiert gesteuert oder unterstützt wird. Vom Formularwesen über elektronische Warenwirtschaftssysteme bis hin zu den Serverstrukturen, ob Hardware oder Software, in allem steckt IT. Während sich einige Unternehmen immer noch eigene IT-Abteilungen leisten, arbeiten viele Firmen mit externen IT-Dienstleistern zusammen. In manchen Organisationen wird die IT von internen Mitarbeitern mit externer Unterstützung betreut. Unabhängig von der jeweiligen Teamaufstellung leisten die IT-Verantwortlichen oft hervorragende Arbeit und stemmen die unterschiedlichsten Projekte und Herausforderungen. Egal, ob Sie als IT-Dienstleister oder in der IT-Abteilung eines Unternehmens arbeiten, erfolgsentscheidend ist die Qualität Ihrer IT-Leistungen. Zeigen Sie Ihr Qualitätsbewusstsein, indem Sie Ihre Leistungen bei den German Stevie Awards vorstellen und sich um die begehrten Titel bewerben. Teilnehmen können Sie, indem Sie gezielt die Leistungen einer IT-Abteilung oder einzelner IT-Mitarbeiter beschreiben. Erläutern Sie die Projektziele, die Herausforderungen und die bisherigen Ergebnisse. Beschreiben Sie, wie die Mitarbeiter die erfolgreiche Realisierung beeinflusst haben. Auszeichnungen wie die IT-Awards machen Ihre Leistungen intern und nach außen sichtbar. Nutzen Sie die Strahlkraft der German Stevie Awards und bewerben Sie sich unter noch heute. 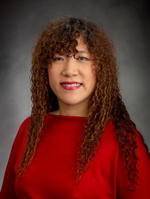 Weili Dai, president and co-founder of Marvell Technology Group, was named Technology Innovator of the Year in the the 2012 Stevie Awards for Women in Business, the world's top honors for women entrepreneurs, executives, employees, and the organizations they run. (The final entry deadline for the 2013 edition of the awards is September 25.) Here we look at some of her remarkable achievements. Weili Dai has the distinction of being the only female co-founder of a global semiconductor company. The Chinese-born, U.S.-educated—and self-described geek—co-founded Marvell Technology Group in 1995. With more than 7,000 employees worldwide and annual revenues in excess of $3.4 billion, Marvell is now one of the world's top fabless semiconductor companies. Dai has a strong belief in principles and values, which she maintains are essential for success. Dai states: “Passion and Integrity are the foundations for all success; Fair and Care are the principles for all successful leaders.” Dai brings this philosophy to her work at Marvell. Under Dai’s leadership, Marvell has brought many groundbreaking innovations to market that have made a tremendous impact on the world of technology and the interconnectedness of people. Dai’s personal passion and commitment to empowering people around the world with innovation and technology has taken hold at Marvell, serving as the cornerstone of the company’s culture and values. “Success is a team effort. The credit goes to the whole ecosystem: our customers, partners, and the Marvell team,” says Dai. Dai serves as the public face of Marvell while helping chart the company’s business strategy. Marvell designs semiconductor solutions that power digital storage, mobile devices, infrastructure and networking equipment, and Smart Home solutions. Marvell’s semiconductor solutions–Dai refers to them as “the guts of electronic products”—power devices for some of the world's most powerful and high-profile brands in the technology sector. Dai firmly believes in the notion of the “connected lifestyle.” Marvell’s goal is to provide solutions that enable people around the world to access interactive content on any screen of any size for the always-on, always-connected lifestyle globally. Dai maintains that the new era of the digital lifestyle is increasingly making the world better connected and enabling better lives for all. She sees even greater opportunity ahead. Dai feels that having more women in technology would have an even greater positive impact on the next generation of technology products. Dai states that while the current technology revolution is primarily centered on function, women are often strong at meshing function and design for ease of use and a beautiful look and feel. She also notes how women can bring a unique set of problem-solving skills and fresh thinking to today’s technology challenges in day-to-day life. As such, Dai has become a leading advocate of increasing the number of women in engineering jobs and corporate leadership positions. In addition to receiving her Stevie Award for Technology Innovation, Dai was recently named one of 11 women honored by the California Assembly with its "Breaking the Glass Ceiling" award, which recognizes female pioneers in science, civil rights and government. Dai’s accomplishment is a step forward for all women who might want to pursue a career in science and technology. Dai is the face of Marvell's global civic engagements including a major partnership with One Laptop Per Child, an organization that provides low-cost laptops to children in developing countries. She is also a member of the executive committees for TechNet and Bay Area Council; sits on the board of the disaster relief organization, Give2Asia; and was named to the prestigious Committee of 100, an organization representing the most-influential Chinese Americans. Dai’s latest project turns existing public school laboratory spaces into tech labs with the capability of writing new software and creating new hardware. Dai graduated from UC Berkeley with a degree in computer science and she continues to support her alma mater both financially and with her time. In recognition of her generosity, UC Berkeley established Sutardja Dai Hall, which is home to the Center for Information Technology Research in the Interest of Society (CITRIS). Dai was selected as the first woman commencement speaker at the University of California, Berkeley, College of Engineering graduation ceremony on May 12, 2012. Weili Dai is one of the most successful women entrepreneurs in the world today. Widely considered a technology visionary, she is the co-founder of the global semiconductor company Marvell, and since it began in 1995, she has helped Marvell's rise to become one of the top semiconductor companies in the world. Dai has held a number of significant positions within Marvell: she has served as Chief Operating Officer, Executive Vice President, and General Manager of the Communications Business Group. She has also been a Director of Marvell Technology Group Ltd. and Corporate Secretary of the Board. Prior to co-founding Marvell, Dai was involved in software development and project management at Canon Research Center America, Inc. Dai has become a driving force in expanding access to technology in the developing world and an ambassador of opportunity between the US and China, particularly in the arenas of education and green technology. She has become a powerful advocate for the better use of technology to improve the human condition. For her contributions to technology and society, Newsweek named Dai one of the "150 Women Who Shake the World." She was recently profiled by CNN International for the Leading Women Series, and Forbes Magazine lists Dai as one of the "World’s 100 Most Powerful Women". Dai holds a Bachelor of Science degree in Computer Science from the University of California at Berkeley. She is the proud mother of two sons: Christopher and Nicholas are Electrical Engineering graduate students at UC Berkeley and are currently PhD candidates. Marvell (NASDAQ: MRVL) is a global leader in providing complete silicon solutions enabling the digital connected lifestyle. From mobile communications to storage, cloud infrastructure, digital entertainment, and in-home content delivery, Marvell's diverse product portfolio aligns complete platform designs with industry-leading performance, security, reliability and efficiency. At the core of the world's most powerful consumer, network, and enterprise systems, Marvell empowers partners and their customers to always stand at the forefront of innovation, performance, and mass appeal. Marvell is committed to enhancing the human experience by adding value to people’s social, private and work lives and providing people around the world with mobility and ease of access to services. For more information, please visit www.Marvell.com. Here we talked with Aslam about how his company is helping the visually impaired. Aslam firmly believes that a business should not simply try to build assets for itself but for society as a whole. His credo is: “Success is not what you gain or possess, it’s in making others successful.” We asked him to explain one of the ways his company is achieving this. Your company, Octaware Technologies, has an active CSR program. Which of the many projects in which your company is involved has given you and your staff the greatest fulfillment? We successfully implemented the concept of employing blind or visually impaired people who have completed their studies and are computer literate. Senior QA consultants at Octaware developed courseware for the National Association for the Blind (NAB)’s Employment and Training program, and trained the NAB trainers at Octaware’s Mumbai development center. The NAB trainers were then able to train visually impaired professionals at the NAB’s Manesar Center. The news of the courageous efforts of soldiers to rescue people stranded in recent devastating floods and landslides in northern India. The Indian Army’s selflessness and sacrifice has touched the hearts of our entire nation. Teaching: this is a profession that allows people to make a difference, to do good things, and to make an impact on the world by helping people shape their lives. The desire to fulfill the dream of building a successful organization that will contribute, directly or indirectly, to elevating and improving the quality of life for many people is what drives me to do better every day. Aslam Khan is the President of Octaware Technologies. He is a business strategist who oversees the definition and execution of the company’s strategy. His aim is to establish Octaware as a major global player providing first-class IT solutions and services. Aslam has over 17 years of experience in technology, strategy, business development, and entrepreneurship. Before forming Octaware, he was a Director of AskMe Software. He initiated the subsidiary of AskMe Corporation-USA in India, which became one of the most profitable and fastest growing IT companies in Pune. Prior to joining AskMe, Aslam worked at Microsoft Corporation in the USA, where he was a lead developer on the Windows 2000 family of products. Before that, Aslam worked at CitiBank N.A, Japan, developing software for the financial trading platform. Aslam holds a Bachelor of Science degree from Mumbai University. Octaware Technologies is a software development, enterprise solutions, and consulting firm known for excellent project management, delivering high quality solutions, and exceeding the expectations of its customers. With offices in Mumbai, Seattle, Doha, Riyadh, and Lagos, and with development centers in Mumbai and Pune, Octaware is dedicated to helping its clients improve their business productivity by building and implementing comprehensive and cost-effective solutions. For more information go to www.octaware.com. Dynamics Research Corporation (DRC) of Andover, Massachusetts, won Stevie® Awards in both the IT awards categories and the new product awards categories of The 2012 American Business Awards for their support in building and deploying the cloud-based DCGS-A system. (The final entry deadline for The 2013 (11th Annual) American Business Awards, the top business awards in the United States, is April 24, If you haven't already done so, you can request your entry kit here and it will be emailed to you right away.) Here we look at how DRC is helping the U.S. Army deploy a cloud-based intelligence system. American servicemen and women face daunting threats in war zones—insurgents, snipers, terrorist bombers—and access to accurate and timely information is a matter of life and death. Putting that information into the hands of these frontline fighters is the mission of the Army’s Distributed Common Ground System (DCGS-A) Cloud. Imagine a military intelligence brigade that needs to know all of the activities occurring in a village that might indicate unrest—for instance, who has met with the village elders in the past month, or what new projects have been started that are not funded by NATO. The U.S. Army has hundreds of intelligence feeds used to support operations in the field, including ground sensors, unmanned aerial vehicles, and human intelligence. As intelligence data-collection grows exponentially, so too does the corresponding complexity of information that end-users have to analyze. The Army’s computing platforms have to meet the increased demand required to extract useful information in support of a mission, whether it involves safely entering a village or capturing an enemy leader. At the same time, the Army must make this capability available through a streamlined operational infrastructure in the field—the mechanism that allows the troops access to timely information where and when they need it. In 2011, DRC and its partners worked with the U.S. Army to build and deploy the DCGS-A Secret Internet Protocol Router cloud solution. Also known as DSC, this cloud solution is an Internet-scale ingest, processing, and storage infrastructure for intelligence data. It serves as the foundation for the Army's rapid adoption of next generation intelligence systems. DSC is literally a ‘cloud in a box’ that is deployed by shipping container to sites in the United States and overseas. During 2011, DRC helped successfully deploy DSC in Afghanistan. This constituted the first cloud-based advanced-intelligence analysis to support the U.S. Army's mission and war fighter operations. Ensure a strong relationship with multiple companies to help the program succeed: Grosvenor worked with the Army and six other companies, successfully navigating the logistics and cultures of so many different organizations. Since Grosvenor’s work on the DCGS-A spanned U.S. and Afghanistan time zones, his working days stretched around the clock. His dedication has led to the development of an innovative technology that better meets the Army's intelligence needs. DRC was one of several contractors who developed the system as subcontractors to Booz Allen Hamilton. DRC had leadership roles in the development, architecture, integration, testing, and in system delivery. DRC’s team was critical in these areas and instrumental in creating the system. Given the high sensitivity of military data, building exceptional security controls was vital to the cloud deployment. To that end, DRC designed and implemented the backend and interface of DSC, creating a secure cloud that can be accessed on the fly, and providing analysts with a means to share and enrich data. This cloud solution is now helping the U.S. Army achieve mission goals and deter 21st-century threats. Grosvenor joined High Performance Technologies, Inc., a DRC company, in 2009, straight from college and quickly became an expert in his field. In addition to his responsibilities under the DCGS-A contract, Grosvenor is currently working on a Master’s Degree in Computer Science and is active in corporate activities including community service, college recruiting, and developing initiatives to enhance DRC's employee programs. His efforts were recognized with the company’s Employee of the Year Award in 2011. Dynamics Research Corporation (DRC) provides technology and management consulting solutions focused on driving performance, process, and results for government clients. DRC offers innovative solutions and delivers rock solid results. DRC has large company capabilities and small company agility. Founded in 1955, DRC is a publicly held corporation (Nasdaq:DRCO) and maintains more than 25 offices nationwide with major offices in Andover, Massachusetts and the Washington, D.C. region. Technology Partner of the Year. Entries in these categories require the submission of an essay of up to 525 words describing the nominee’s achievements since July 1, 2011; any number of links to any online work samples, reviews, news stories, etc. that support your nomination; and a biography of up to 125 words about the nominee or the leader of the nominated organization. 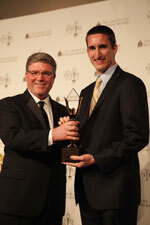 The Stevie Awards for Sales & Customer Service feature more than 125 sales awards, customer service awards, and call center awards categories honoring sales excellence and best customer service practices for individuals, teams, and departments, plus categories this year for products and service and solution providers. You can see all sales and customer service categories here. As the first early-bird entry deadline for The 11th Annual American Business Awards, the premier business awards program in the U.S.A., approaches on Friday, November 16, we'd like to help you recognize your organization's achievements by highlighting our IT awards categories. If you haven't already done so, you can request your entry kit here and you will receive it right away. Want more ways to highlight your organization's IT efforts? We have several corporate awards categories that may be of interest including: app awards, live event awards, video awards, and website awards. Download our 10 Tips for Winning Technology Awards tipsheet. Need help? Contact us at help@stevieawards.com and we'll direct you to categories that are right for your organization. 1. Review the corporate awards categories. We have several other award categories that may be of interest to IT professionals including our website awards categories, app awards categories, video awards categories, and live event awards categories. 3. Download our 10 Tips for Winning Technology Awards tipsheet. 4. Review past winners' entries. The 8th Annual International Business Awards were presented in October 2011 in Abu Dhabi, the United Arab Emirates. 2011 IT award honorees included Quality Systems, Inc., PetRays, and Abu Dhabi Police General Headquarters. Get instant IBA updates; join us on Facebook, Twitter, and LinkedIn. The entry deadline for The 2012 International Business Awards, the world's premier business awards competition is quickly approaching on 16 May. (All individuals and organizations worldwide may submit nominations to The International Business Awards. If you haven't already done so, you can request your entry kit today.) Here we highlight three IT awards categories to help showcase your organization's emerging technology successes. The 8th Annual International Business Awards were presented in October 2011 in Abu Dhabi, the United Arab Emirates. 2011 information technology awards winners included PetRays, Quality Systems, Inc., and Abu Dhabi Police General Headquarters. Entries submitted after 16 May, through the final entry deadline of 27 June, will be assessed a late fee in addition to any entry fee. 2012 Finalists will be announced late July and 2012 IBA winners will be announced at the Seoul, South Korea awards ceremony on 15 October. Click here to see the complete IBA calendar.